Rapidly changing asylum policies, plus legal and bureaucratic hurdles mean that many Syrian asylum seekers in Germany are separated from their families for years or even forced apart post-arrival. Gender shapes this experience. Altogether, an estimated 550,000 Syrian asylum seekers have arrived in Germany since 2011. Roughly 75 percent of them are male. High payments to smugglers have made it impossible for many families to escape together. 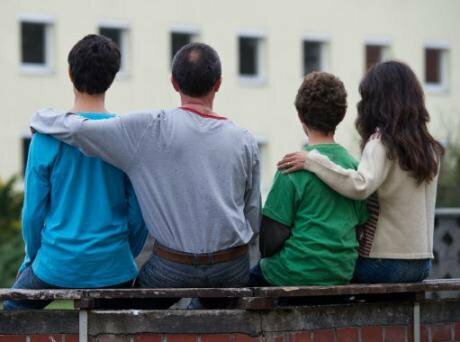 Many hoped that once a male family member made it to Germany and got asylum, the remaining nuclear family members could follow safely by using the legally guaranteed right to family reunification. This has become increasingly difficult. There are many reasons for this inability to exercise the right to family reunification. Firstly, for political reasons: since the closure of the Balkan route and the EU-Turkey refugee deal in 2016, many Syrian women and children who stayed behind are trapped in Syria. Secondly, for reasons of bureaucracy: from 2013 onwards, Syrians have had to wait on average 10 months to submit their asylum application and another five months to be granted asylum, a sine qua non to be able to apply for family reunification. The proper reunification procedure may take even longer because family members back in Syria have to appear in person for an interview at a German embassy in a neighboring country. Waiting periods for the interview appointments are long; at least 16 months, for instance, at the German embassy in Beirut. After the interview it may take another eight months to validate the applications. Altogether, Syrians having arrived in Germany need three to four years to reunite with family members left behind. Sometimes, interview appointments come too late. Jabbar*, a refugee we interviewed in Cologne in 2016, learned that his wife and two children were killed by an airstrike near Aleppo while waiting for the reunification. For family members of recognized Syrian refugees in Germany there are a number of additional obstacles that obstruct reunification and a safe passage to Germany. Besides barriers to entry to Turkey, Lebanon or Jordan for an interview appointment at the German embassy, collecting the documents required for the application for family reunification can be simply impossible or too dangerous. Syrians with passports issued in provinces governed by the IS or other insurgent groups are told to bring a new passport issued by an authority in a different province. All personal status documents are not only required to be translated into English or German but also need a pre-certification stamp from the Syrian Ministry of Foreign Affairs which has to be issued no later than 2012. However, for Syrians from rebel-held areas and those who are listed as opponents of the regime, to appear in a government institution is far too risky. Furthermore, travelling through Syria is extremely dangerous. Arbitrary detention, enforced disappearances, kidnapping and sexual violence are common incidents during such journeys. There are plenty of checkpoints, controlled by pro-government militias or other armed groups. Since many young men in Syria were either killed, have fled the country or are in hiding, in order to escape from forced conscription or detention, an increasing number of women, by now roughly a quarter of household heads in Syria, are pushed to work. Most enter low-skilled jobs in the informal sector. When women with young children are not able to work outside the house and don’t have extended family that can support them, elder children have to take the role of the breadwinner. The loss of ‘male protection’ means women are perceived as outside of traditional societal norms and this makes them more vulnerable. Only few experience their new roles and responsibilities as a liberation. Most are overloaded with additional tasks in the war-zone, and limited security. To remain in conformity with societal norms, some families appoint a male family member to replace the father during his absence, usually a brother or the eldest son. Displaced women usually try to live with other members of the extended family. The lack of male protection increases women’s and girls’ risks and experience of sexual violence. Sexual violence has been reported from checkpoints, but also from collective shelters and even aid supply facilities. Syrian spouses who have escaped, and are more or less safe while their wives or husbands back in Syria face life-threatening situations, have to cope with little or no income and are usually deeply traumatized. This hampers their integration into the new environment. Mainly as a reaction to the influx of asylum seekers in 2014 and 2015, the German government recently changed asylum legislation. In March 2016, ‘asylum package II’ was introduced which, among other new regulations, suspends the right to apply for family reunification until March 2018 in the case of any refugee who has obtained a subsidiary protection status instead of full refugee status. Asylum decisions specifically for Syrians have changed significantly. Earlier, almost all of them were granted full asylum protection according to the Geneva Convention. Now, around half of them obtain only subsidiary protection. For many Syrians in Germany and their families back home this was a shock. Meanwhile, bureaucratic challenges and case load build-up mean that even for those Syrians who have received full refugee status, only an estimated 25,000 have managed to reunite with their families to date. In August 2016, a new so called ‘integration law’ came into effect. In order to ensure equal distribution of refugees among the federal states and to avoid social imbalances in certain areas, it prescribes that all asylum seekers who have been accepted as refugees after January 2016 have to stay another three years in the Federal state (and often city) to which they have been assigned upon their arrival. This restriction in freedom of mobility obstructs family reunification of those who fled at different times to Germany and arrived in different federal states. Ayat, a divorced school teacher and her 25 year old daughter Wiam were sharing a flat in Damascus when the uprising began. While her daughter escaped to Germany in 2013, Ayat preferred to stay in Syria. However, life became increasingly difficult and in 2016 she followed Wiam via the Balkan route shortly before its closure. Once in Germany, she quickly found her daughter, but was assigned to a different Federal state. Since Wiam is an adult over 18 years and thus not eligible for family reunification anymore, it might take some three years until mother and daughter will have a right to live together. Living apart from family and the loss of other social networks as a result of forced migration can create or deepen emotional suffering and trauma. Being separated even in Germany itself has a particularly negative effect on women who can no longer rely on the help of siblings and other extended family members for childcare and other domestic duties. Furthermore, it can also increase their distress, obstruct their ability to overcome traumatic experiences and hamper integration. For some women, family separation may constitute an opportunity to gain more agency, e.g. to break away from repressive family structures, but the number of women for whom this is the case is not known.